Olive Garden adds three new under-575-calories dishes this month to their Lighter Italian Fare menu. Inspired by Italy's Mediterranean coast, the three dishes are Shrimp Scampi, Chicken Piccata, and Tilapia Piccata. 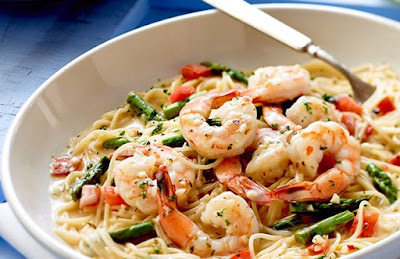 Shrimp Scampi comes in at Shrimp 570 calories and features shrimp sauteed in a garlic sauce and tossed with asparagus, tomatoes, and angel hair pasta. 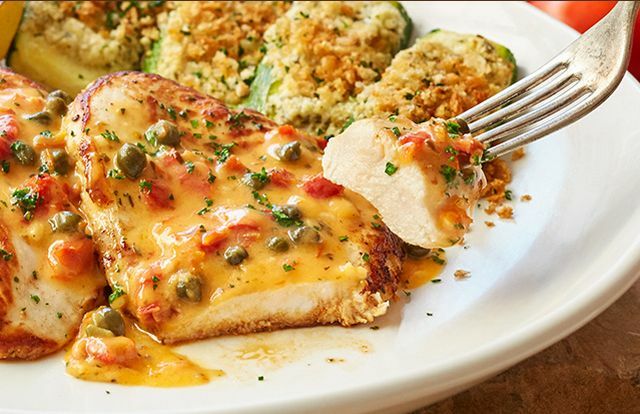 Coming in at 530 calories, Chicken Piccata includes grilled chicken topped with a lemon garlic butter sauce, sundried tomatoes, and capers. Parmesan-crusted zucchini comes on the side. 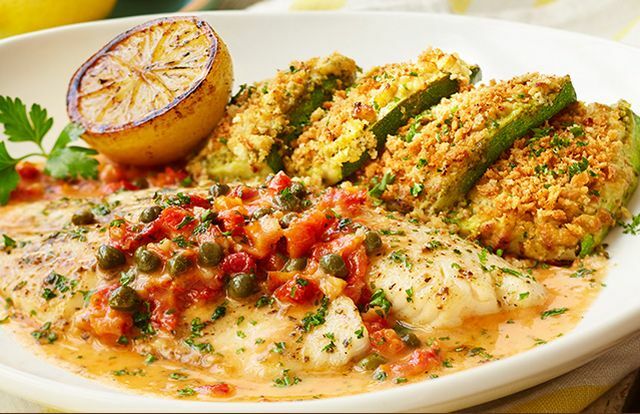 Finally, Tilapia Piccata consists of tilapia baked in a lemon garlic butter sauce topped with sundried tomatoes and capers. It also comes served with parmesan-crusted zucchini and is listed at 450 calories. Of course, the low calories counts might just mean more room for breadsticks as all three meals come with unlimited soup or salad and breadsticks. Other dishes on the Lighter Italian Fare menu include Citrus Chicken Sorrento, Herb-Grilled Salmon, Baked Tilapia with Shrimp, and Garlic Rosemary Chicken.